Racial disparities in education in Brazil (and elsewhere) are well documented. Because this research typically examines educational variation between individuals in different families, however, it cannot disentangle whether racial differences in education are due to racial discrimination or to structural differences in unobserved neighborhood and family characteristics. To address this common data limitation, we use an innovative within-family twin approach that takes advantage of the large sample of Brazilian adolescent twins classified as different races in the 1982 and 1987–2009 Pesquisa Nacional por Amostra de Domicílios. We first examine the contexts within which adolescent twins in the same family are labeled as different races to determine the characteristics of families crossing racial boundaries. Then, as a way to hold constant shared unobserved and observed neighborhood and family characteristics, we use twins fixed-effects models to assess whether racial disparities in education exist between twins and whether such disparities vary by gender. We find that even under this stringent test of racial inequality, the nonwhite educational disadvantage persists and is especially pronounced for nonwhite adolescent boys. 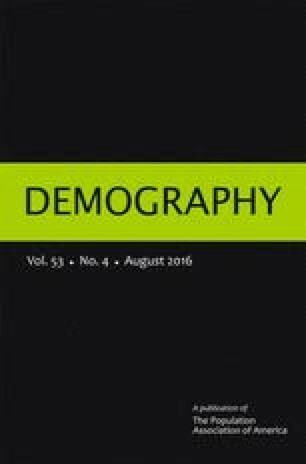 We thank the Demography editor and anonymous reviewers for the helpful comments. We also thank Ed Telles for discussing the initial ideas of this article. This research was supported by Grant R24HD042849, Population Research Center, awarded to the Population Research Center at The University of Texas at Austin by the Eunice Kennedy Shriver National Institute of Child Health and Human Development; Grants R24HD041025 (Population Research Institute) and T32HD007514 (Training Program), awarded to the Population Research Institute at the Pennsylvania State University by the Eunice Kennedy Shriver National Institute of Child Health and Human Development. The content is solely the responsibility of the authors and does not necessarily represent the official views of the National Institutes of Health.